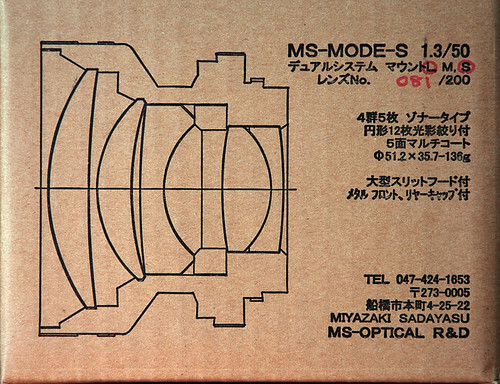 MS Optical R&D — also Miyazaki Kōgaku (宮崎光学) and MS Optics — is a small company in Chiba (Japan) run by Miyazaki Sadayasu (宮崎貞安) that is best known for converting lenses that are part of or designed for older cameras to the Leica thread mount (LTM). It also converts lenses designed for the Contax G and makes viewfinder magnifiers and other accessories. Since 2010 the company has released a series of very limited production lenses in Leica M mount, these have all been designed and hand assembled by Mr. Miyazaki. MS R&D neither takes orders from nor ships outside Japan. MS Optical has (2006) released the first of what is announced as a series of lenses for rangefinder cameras. The MS-Mode-S is a nominally 50mm (in fact 52mm) f/1.3 lens. It has 12 aperture blades, five elements in four groups and is described both by its manufacturer and by others as being of Sonnar type. Both a Leica thread mount and a Nikon S mount are made for the lens. 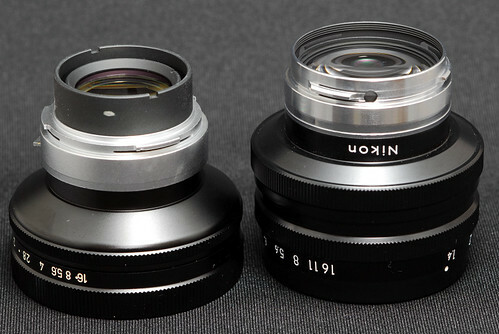 Caps and hood aside, it comes in either two or three pieces: (i) the main part of the lens barrel (including all the glass), and (ii) a mount and focusing ring for Leica LTM and/or a mount for Nikon S. Somebody who uses both kinds of camera can easily change the mount. When attached to its Leica mount its pinched mid-section makes it appear to be a collapsible lens in extended state, but in fact it is rigid. For users of M mount cameras, an M39-to-M mount adapter is needed. Rangefinder coupling is retained. 12 diaphragm blades provide a near-circular shape; minimum aperture is f/16. The aperture ring lacks detents for stops. It is therefore stepless and smooth, and is old-fashioned in not having a uniform angle of rotation between stops; thus the angle of rotation between f/1.7 and f2 is similar to that between f/2.8 and f/4. Somebody unaccustomed to the lens may confuse the focusing control near the front of the lens with the nearby (clickless) aperture control; of course somebody using a Nikon (or Bessa R2S) can instead use the focusing wheel on the camera body, and when fitted with the Leica mount the back of the lens has an additional focusing tab (narrow and uncomfortable at first) for the forefinger of the left hand. Minimum focusing distance is one metre. 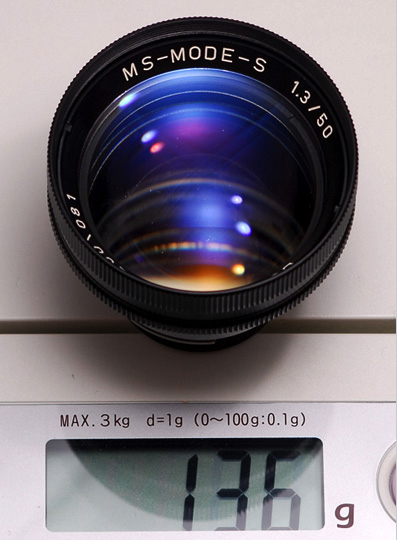 The lens is 35.7mm long and 51.2mm in diameter, and weighs 136g with Leica mount attached: unusually small and light for such a fast lens. The lens is finished in black and supplied with a large, vented hood. 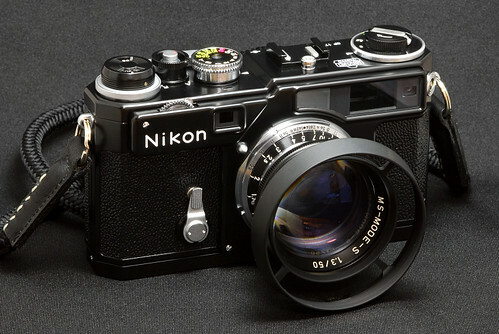 The lens has a 49mm filter thread; the hood takes 62mm caps. Release of the lens was expected in February 2006 but was delayed until autumn. Two hundred numbered examples were advertised: 100 with both mounts, 50 with (detachable) Leica mount only, 50 with (detachable) Nikon mount only. (Unconfirmed rumors say that only 183-184 were made.) The price is ¥75,000 with Nikon mount, ¥90,000 with Leica mount, and ¥100,000 with both. In January 2009 MS Optical announced the release in February of the MS-Mode-AH Apoqualia 3.5/50, a compact and light lens of high contrast and resolving power, with the Leica L mount. It is described as of "Heliar type", having five elements in three groups in weighing 90g (115g as a "set", presumably including its hood), and with 30.5mm filter thread. Three hundred would be sold, with a first lot of 170; price would be ¥59,850 including tax. Super Triplet Perar 3.5/35, retracted. The Super Triplet Perar 3.5/35 is an ultra compact collapsible lens released in 2010. It is based on a triplet formula, and only weighs 75g. Unique about the lens is the high grade Tantalum glass used for the lens, which it's creator claims is superior to Trium and Lanthanum glass in terms of refractive qualities. 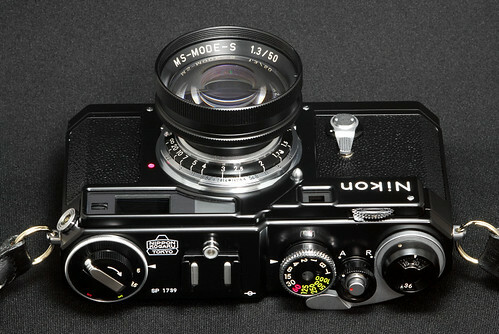 The lens is only available in Leica M mount, at least outside Japan. 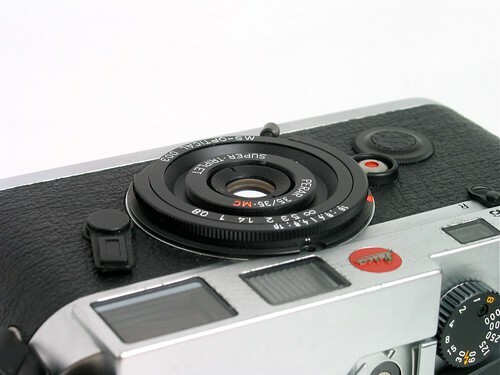 Internally, the lens contains a Leica screw mount attached to an adaptor, but removing the adaptor might cause focusing accuracy problems, and can only be done at the factory, calibrating the lens on the intended camera body. The production will be limited to 200 lenses. ↑ Japan Exposures sells certain MS Optical R&D products and services overseas. ↑ See the company's web pages; also Nakatani, "Zunō 5 cm f1.1 to MS-Mode-S 50mm f1.3." ↑ This page at Hayata Camera Laboratory. ↑ 4.0 4.1 4.2 4.3 4.4 Announcement at Japan Exposures, published on Sep. 6, 2010. Nakatani Yoshitaka (中谷吉隆). 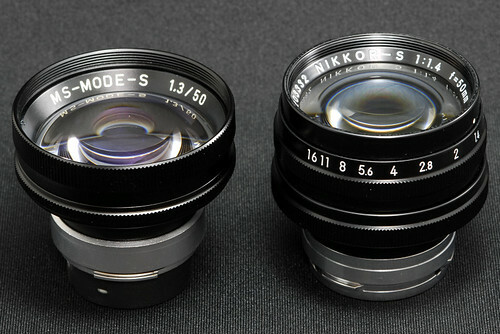 "Zunō 5 cm f1.1 to MS-Mode-S 50mm f1.3" (ズノー 5 cm F1.1とMS-MODE-S 50mm F1.3). Shashin Kōgyō (写真工業), April 2006, pp.60–63. About the MS-Mode-S and the much older Zunow lens, within a special issue about Sonnar-type lenses. Nakatani Yoshitaka (中谷吉隆). "Zonā-taipu daikōkei hyōjun renzu jissha hikaku" (ゾナータイプ大口径標準レンズ実写比較, Comparison of actual photographs taken by fast Sonnar-type lenses). Shashin Kōgyō (写真工業), January 2007, pp.66–69. Informal test report about the MS-Mode-S and the Cosina-made Zeiss C Sonnar-T 50/1.5.